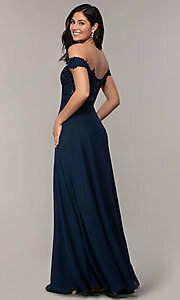 This charming long prom dress features an embroidered-lace bodice. 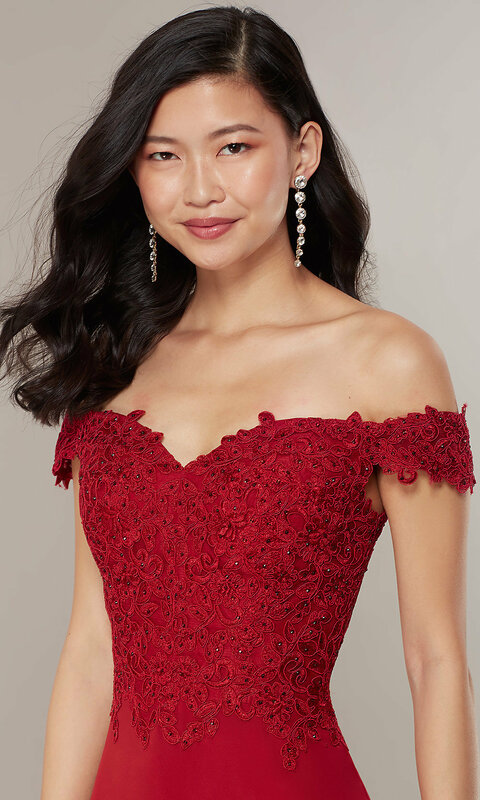 The rhinestone-embellished bodice has a classic sweetheart neckline and shoulder straps that drape alluringly around the arms. 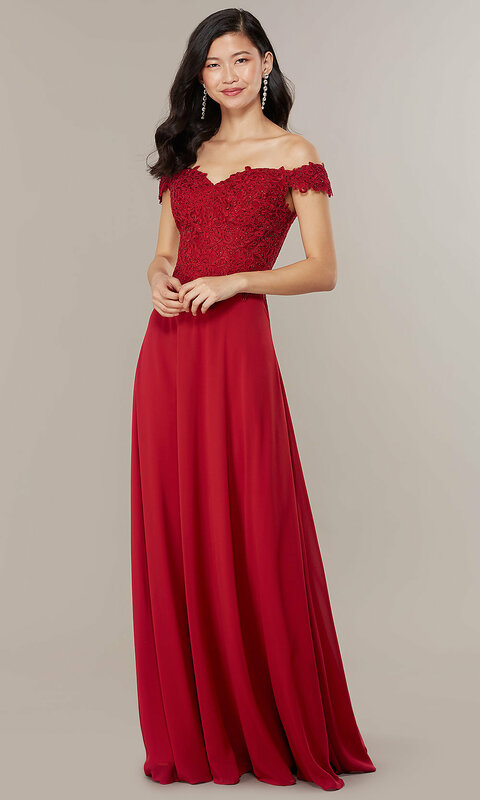 The embroidered lace beautifully covers the bodice before cascading delicately over the waist onto the satin-lined chiffon skirt, which flows airily to floor length. 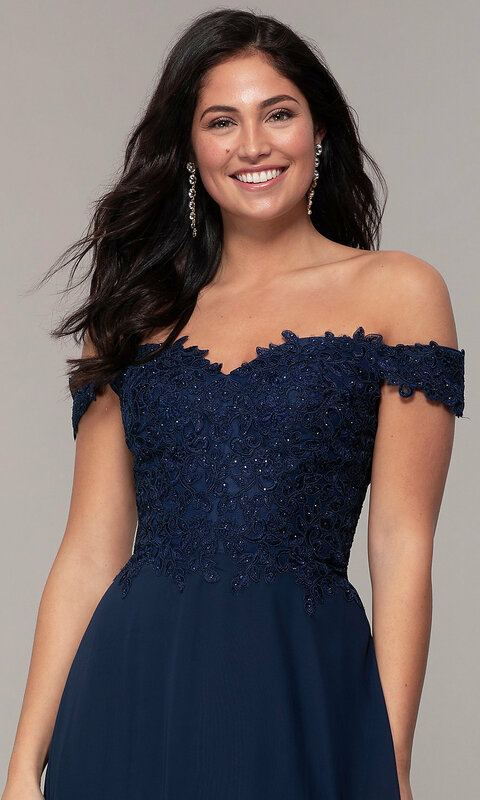 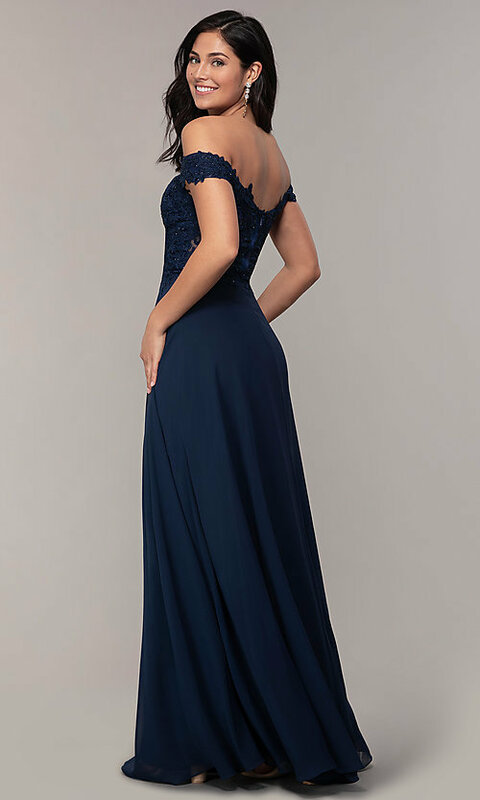 Impress at prom and other formal dances in this long off-shoulder sweetheart prom dress, under $150, that is also offered in misses and plus sizes.